I just received a phone call from the service department at Waters and Stanton who had just received the faulty helical antenna I returned to them. I was asked: "What frequency did you use it on? It looks as if it as been used to transmit at high power on the wrong frequency." 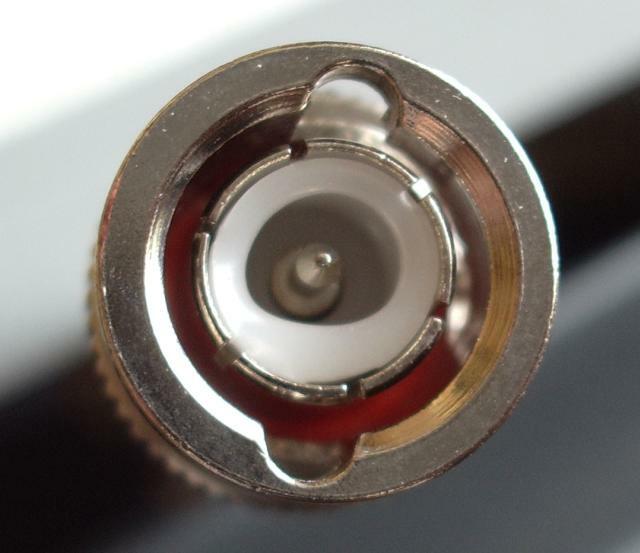 Do they imagine that it would be possible to overheat an antenna in such a way as to melt the connector without having any effect on the antenna itself, leaving the connector impossible to attach to a socket? You would think perhaps the fact that the antenna was untrimmed and the top cap not placed in position would give the game away that I hadn't even used it. In fairness, they did then agree that it must have been a manufacturing fault and they would send a replacement. But I was left feeling that I had been taken for an idiot. They didn't even have the grace to apologize to me for the inconvenience of receiving a faulty product. I would certainly have expected better from one of our "established" dealers - incredible. Whatever happened to the old adage " the customer is always right?" A good reputation is hard to earn and easy to destroy. I am glad you finally received (grudging) satisfaction. Your run of good luck continues Julian (HI). Have you upset someone Julian? What I find interesting is say you had sent 1500w into that antenna it wouldn't deform the end like that. If anything it would melt the antenna itself and then fuse the base onto the radio. But to get that funny shape at the bottom the there's really only one way for that to happen. Too much heat while it wasn't attached to anything. It's just not thinking about it on their part, which is kind of sad really. You should do what I do, lower your standards. If something works out then you're pleasantly surprised. I do wonder if all this crap service and defective parts is a new thing or if a few things have changed to make it more noticeable. For example, before the internet we (your readers) would never have known about your problems. Also it used to be you bought all your stuff from an actual shop with an actual person. If something went wrong you'd pop down and they'd take care of it. Now it's over the web/phone and at minimum a few day affair to get things resolved. I also think going to a shop and being face to face changes how people treat you. People seem to be less polite when you're not right in-front of them. A good example is how people are rude in their cars yet if you were in line at a store they wouldn't try and pull the same stunts. It's a sorry state we've gotten ourselves in. But then again the very thing that causes these problems allows me to sit here in Michigan, USA and talk with you way over there about all this. Maybe we have to take the good with the bad. But honestly that don't make me feel much better when my orders get messed up. I think you're right, Jay, but there's no excuse for poor service just because it's online. It isn't as if there is no competition. Most of the UK dealers are selling all the same products. If I could have got a self-tune helical antenna anywhere other than W&S, even from China, I would. Those Chinese eBay sellers know a thing or two. They tell you when they got your order, when they shipped it and even sometimes a follow-up email to say they hoped you received it and it was OK. And more often than not they include a little gift like a pen, even with an item that only cost a few pounds. They are in competition with each other, too, so they want you to go back to them not a rival for their next purchase. I think in Europe we have just got complacent. We've had wealth fall into our laps and we think that's how it should always be, we don't have to earn it. After the french revolution, the youth was taught that going to University was their right and that menial jobs were beneath them. The result was an over-educated bunch of precious people who grudgingly gave service, while harbouring resentment. While recognising the benefits of education ( I am not a confucian), a similar situation is represented today. Sales staff are frequently sullen, disinterested people who delight in pulling our strings with their limited power. Of course, like a diamond found in a giant heap of slag, the really good sales staff are a joy. I can only say that since I have been licensed I have had both wonderfully outstanding service and absolute nightmares with all of the major dealers in the UK including W&S. Sometimes you just get the wrong person on the wrong day and if we don't make a fuss that person will still be there the next time we come to buy something. Did you perhaps run over a black cat or refuse to buy pegs from an old hag at the front door, by any chance? By the way is it my imagination or has qrz.com disappeared. I have been having no luck finding it, but then my ISP has gone nuts over the last few days.